The plan was to wake-up at 8 a.m. and to leave at 9 a.m. But you know, you make a plan in Spain and it’s never accomplished. You actually don’t need to plan anything in Spain, you just go with the flow. And that’s how it was, we left around 11:30 and before 13:00 we arrived to Málaga. 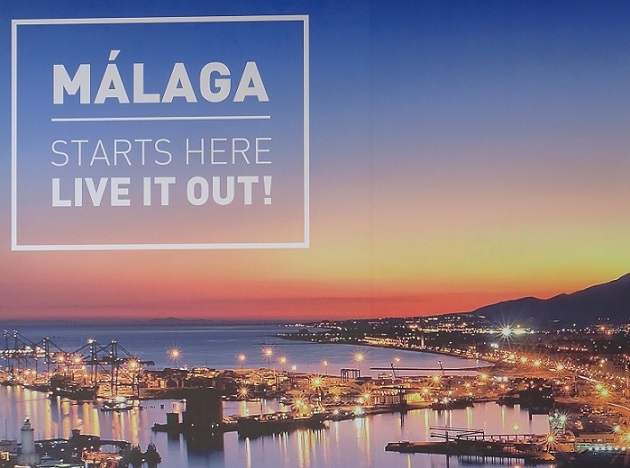 Málaga is situated approximately one hour and half by car southwest from Granada. It lies on the coast called “Costa del Sol” (Coast of the Sun). 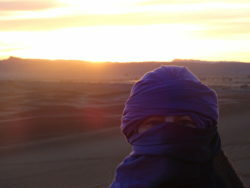 Málaga has very good climate with an average of about 300 days of sunshine. I visited the city on 21st January and the weather was just amazing. That day the temperature reached 25 degrees. I think that the weather is one of the reasons why Málaga is an important tourist destination. Today I would like to share with you 4+1 things that I really enjoyed in this wonderful city! It’s an international port. It’s located just few minutes from the city centre. There are many restaurants, cafeterias and shops. When we were walking around, there were also markets with different kinds of goods. It was a beautiful day and many people went out for a walk or a drink so the port was quite overcrowded. One of the tourist attraction that is situated at the port is a Ferris Wheel, also known as the Noria Mirador Princess. It’s 70 meters high and it offers breathtaking paronamic views up to 30 kilometers when the visibility is good. 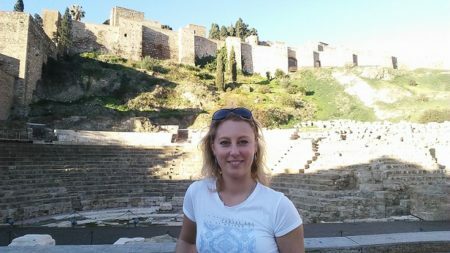 Unfortunately, I couldn’t make it while being in Málaga but I would love to enter the wheel next time I’ll come there. 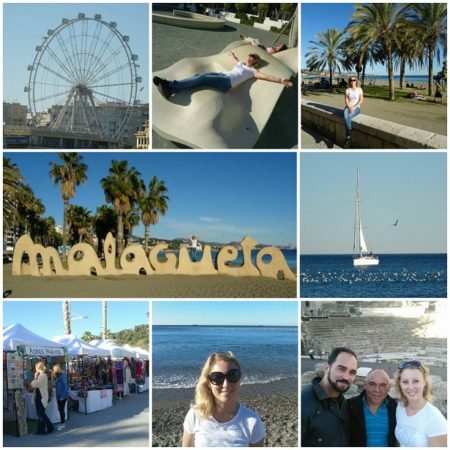 Malagueta is an urban beach, it’s one of the beaches of the Costa del Sol. It spans an area of 1200 metres in length and 45 metres in width. It’s a sandy beach with a lot of grass areas shaded with palms. You’ll find there many beach bars and restaurants where you can have a drink or a meal. Some of them offer specialities from the grill. Since I have never been to the beach in January, I got really excited about it. Like I said before, the weather was very nice and there were quite many people on the beach (in the swimming suit as well!!). 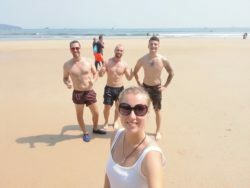 While my friends were drinking beers, I was walking along the seaside, picking up some seashells, taking photos and videos (you can check one below). On the way back from the Malagueta beach to the city centre we walked through the city park. 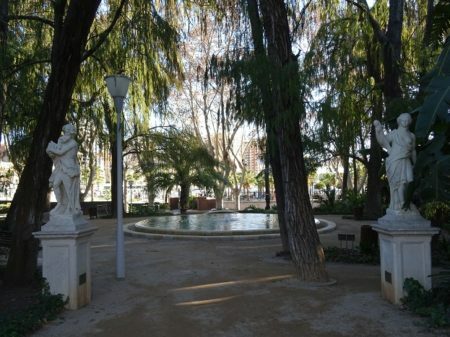 The Málaga park is also called Alameda park. It was built at the end of 19th century. The park is unique because it contains a large collection of tropical and sub-tropical ornamental plants that were brought from different countries from all over the world. There are also different monuments like sculptures and fountains. 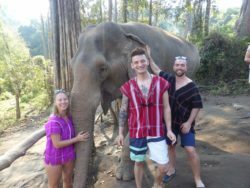 The park is made up from three walkways, each 800 metres long and 10 metres wide. In total it covers an area of 30000 square metres. We were passing just through the small part of the park but I really liked it. It feels like you’re not in the big city anymore. There are many benches where you can sit and enjoy the moment of being surrounded by nature. You can also take a walk and read about different exotic plants that were imported there. It’s an unique experience and it’s definitely worth visiting. I guess that the best time will be the spring when everything will be blooming. It must be stunning! The Roman theatre is the oldest monument in the city. It’s one of the remaining symbols of Roman Hispania. It’s situated at the entrance to the fortress Alcazaba (that is waiting for my next visit). I didn’t enter there, we were just passing by and saw the theatre. The theatre has been reconstructed and opened to the public. The amphitheatre is open throughout the year for visitors, and in summer, it is used for open-air performances. You may be surprised why I put “Cuban dinner” as +1. Let me explain. I went to Málaga with two Cuban friends. Since one of them has relatives there, we had to visit them. That was also a great opportunity to have a dinner with them. 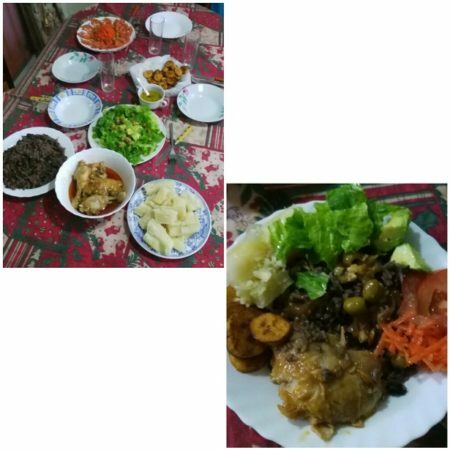 We brought some meat and vegetables and my friend ask them to cook some typical Cuban meal. So after an amazing sunny day in the city, we had a very tasty dinner. You can check the photos below. At the moment, I won’t tell you more about it because I might dedicate a whole post to the Cuban cuisine one day. Anyway, my trip to Málaga was just for one day so I couldn’t visit everything I wanted. Regardless, I did enjoy the time there a lot. I hope I will have an opportunity to visit this beautiful city again. 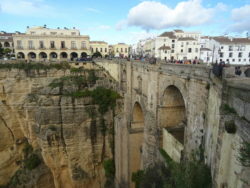 It’s definitely one of the Spanish cities that is worth seeing.